Drive through the Creeks of Willow Bend in Plano, Texas and you’ll find 5005 Stonewick Court – a beautifully landscaped property that makes you feel like you are on the Florida coast. Dual palm trees flank the sidewalk to give guests an unforgettable entrance. But the tropical theme doesn’t stop there. 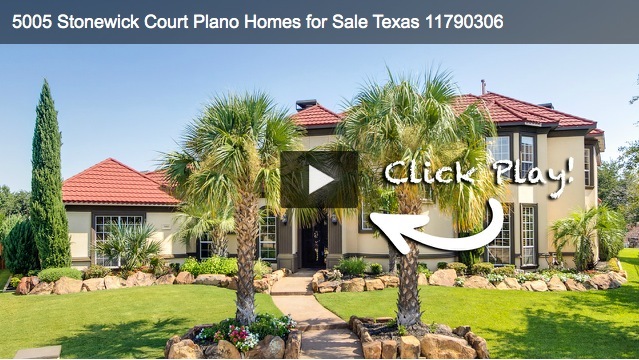 Step out back in this HD video walk-through tour of 5005 Stonewick Court to find a pool and spa that is an oasis for relaxing and enjoying the Texas sun. Real estate HD video walk-through tours set you apart from other competing real estate agents. You can be the realtor of choice by offering Plano, Frisco, Dallas and Richardson home sellers a marketing package far above the competition.